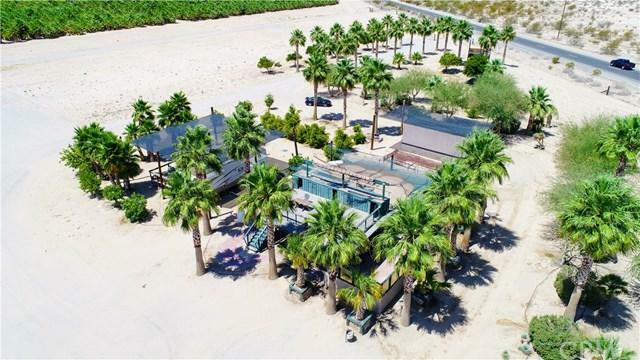 This amazing property is an agricultural property, operated as a palm tree farm. 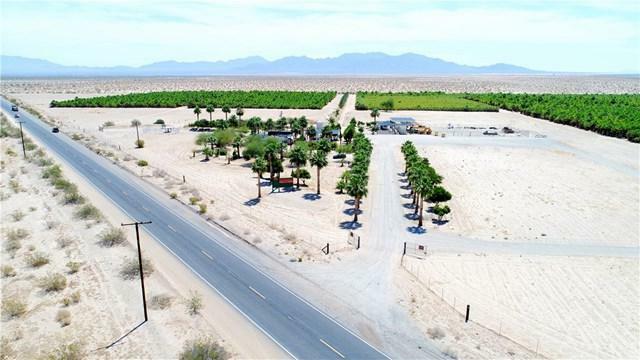 Located on Highway 177 (Rice Road) northeast of Desert Center, in Riverside County. The property was fully planted with Washingtonia palm trees in 2006. 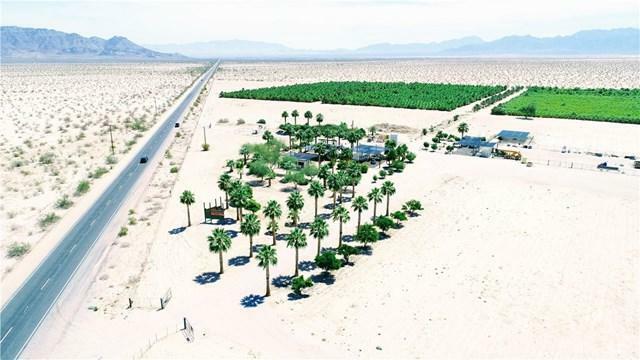 Approximately 47,562 palm trees ranging from 6' to 16' tall(3 different varieties), 2 operating agricultural wells (water report by request). 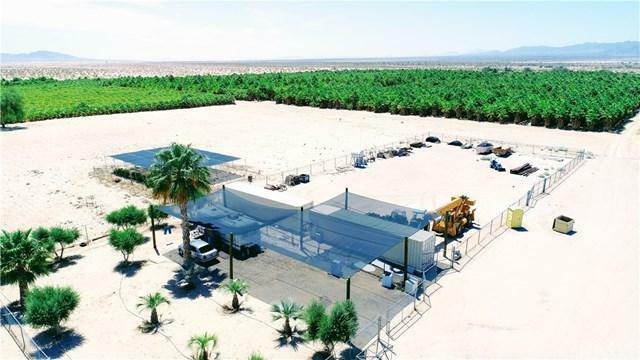 Farming center complex includes meeting office trailer with shower and bathroom, cantina with kitchen, shower and bathroom, view deck, outdoor living areas, work spaces, equipment storage, shop space and fenced equipment yard. Equipment consist of 40' boom crane, Blaze shredder, Virsimo shredder, Holland Tractor, 2 John Deere Tractors, Gulf Stream 5th Wheel Trailer, Holliday Rambler Travel Trailer, and much more (equipment list provided by request). Great opportunity! Listing includes 2 parcels 807-192-001-2 (144 acres) and 807-192-002-3 (11 acres) 155 acres total. Subject to successful cancellation of current escrow.